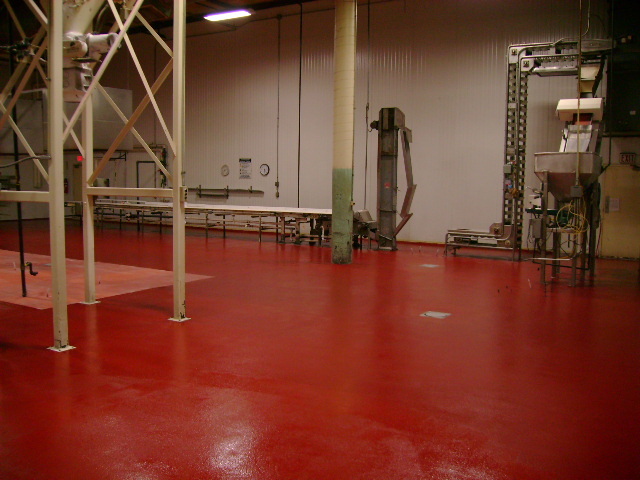 Surface Solutions specializes in flooring and wall systems for the food and beverage industry. To combat the risk of uncontrolled bacterial growth, maintain cleanliness and be approved safe for food production, flooring surfaces used in food and beverage production facilities must adhere to strict health and safety guidelines mandated by the United States Food and Drug Administration (FDA) and the United States Department of Agriculture (USDA). These recently completed projects illustrate our specialized service delivering durable, long-lasting and aesthetically-pleasing floors that exceed customers’ expectations. Contact Surface Solutions today for more information on our complete line of industrial flooring systems.